High efficient turbine: Depending on the water volume and pressure the turbine nozzle can be easily changed without tools.Delivers high torque at low RPMs even towards end of run (0.8 to 1.3 bar pressure loss for operation of the turbine). 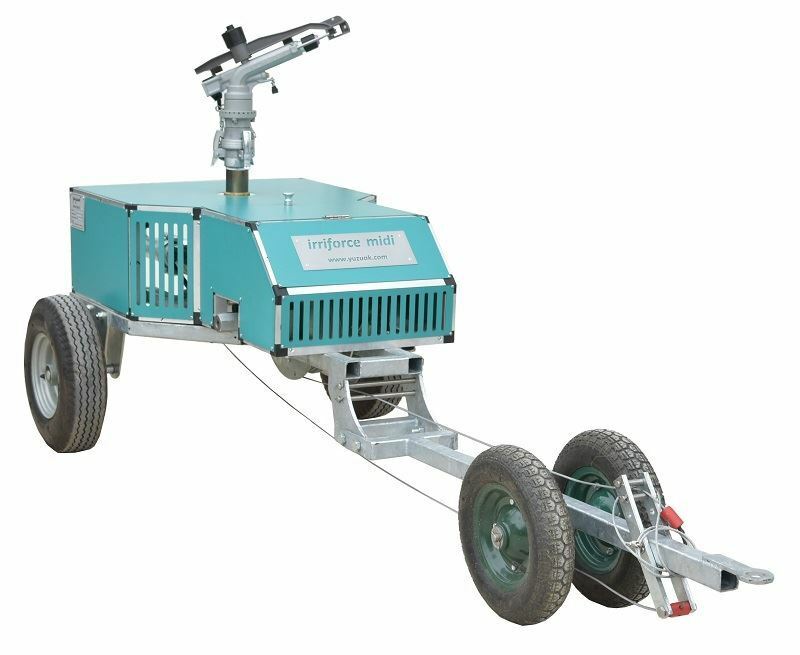 Portable: The DuCaR IrriCruiser MIDI is ideal for irrigating widely scattered areas. 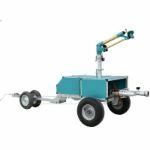 They can be towed from field to field or farm to farm. Very low labour requirement: The DuCaR IrriCruiser MIDI can easily be operated by one man and the labour consists mostly of driving a tractor. DuCaR IrriCuriser MIDI develops the power as a result of water flow, not pressure. Therefore it can be operated at low pressures. 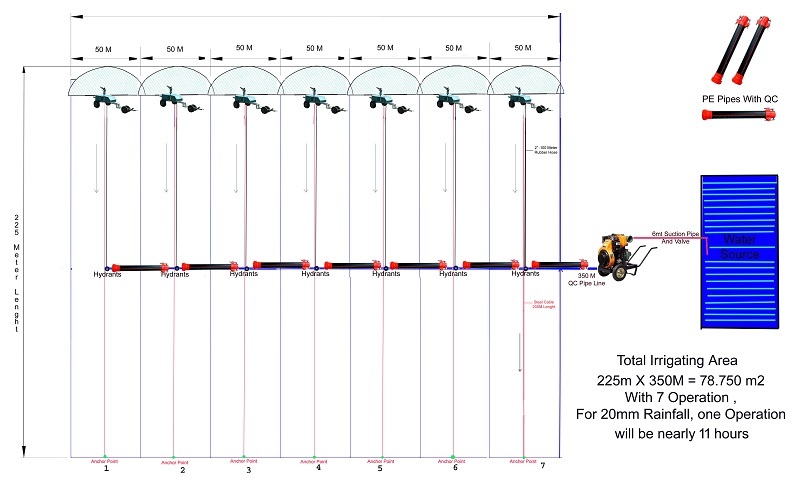 DuCaR IrriCuriser MIDI allows you to adjust a wide range of travel speeds to suit your particular crop water requirements, so you can save a lot of energy. The turbine’s RPM and travelling speed is read on accurate digital tachometers. DuCaR IrriCruiser MIDI - HOW DOES IT WORK?